Sat., Oct. 27, 2018, 6 a.m. 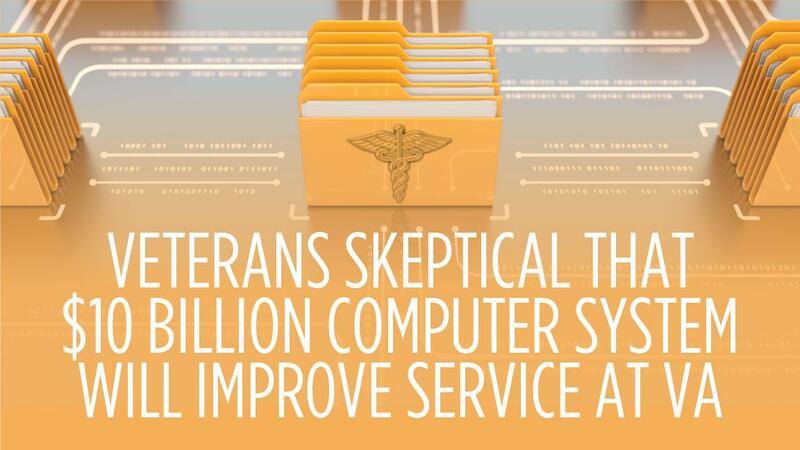 According to an April 30 DOD report, those military personnel trying to install the health care system had a litany of problems that caused them to shut the testing down. “We are going to be sitting with (Cerner) arm-in-arm to design an electronic patient care system that will revolutionize our delivery of care as well as increasing our access for veterans and making workflow more efficient for provides and schedulers,” he said. “He was getting disability and got cut off because he doesn’t have transportation to get to therapy,” Brodie said. “I hooked him up with where to go. We made an appointment and got all the paperwork together to send in,” Brodie said. Brodie’s other neighbor suffers from severe chronic obstructive pulmonary disease, or COPD. That veteran twice had to be hospitalized with flare-ups, once in California and once at MultiCare Deaconess Hospital in Spokane. “This was over a year ago. It still hasn’t been paid,” Brodie said. “He won’t even do anything about it. I went to a patient advocate to help him, but nothing works. He just gave up. In a statement provided Friday, Murray said she will continue to push Wilkie to make good on his promises that the same problems that plagued the rollout of the same computer system for the Department of Defense won’t be repeated. Published: Oct. 27, 2018, 6 a.m.